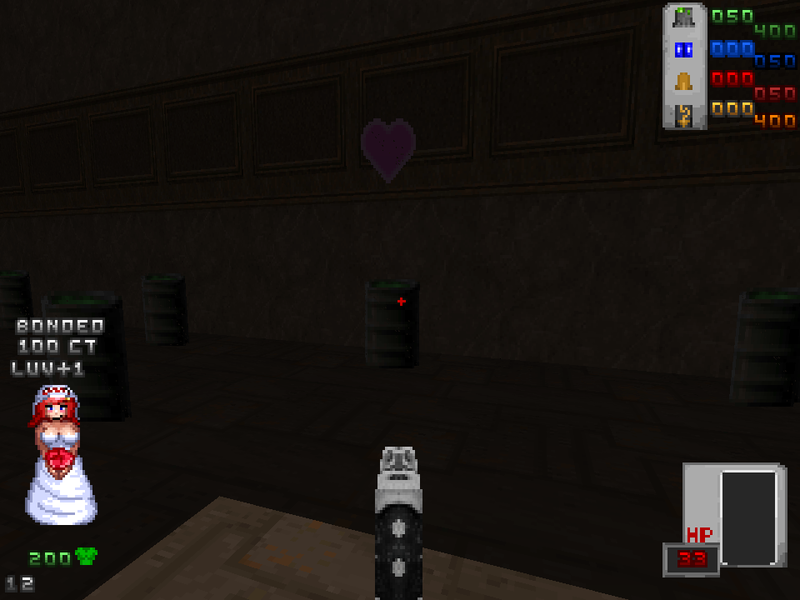 Hege Cactus wrote: I can add those counters on the hud if there's more need for it. -Expanding on the whole "Smart Launcher has power of speech" thing? I can totally picture a Wheatley style running commentary on what you're wearing, what you've just picked up, what action you're taking, etc. Great work, quickly became one of my top 15 favourites. Kinda reminds me of a very (and I mean VERY) obscure arena shooter called Wickland. You had "mutations" which gave you armor and a weapon, once the armor for a gun was gone, you lost the gun as well. Also, what does "not yet upgradable" mean? That the upgrade will be added in a future update or that I have to perform a specific action to be allowed to upgrade? DoomMakerPL wrote: Great work, quickly became one of my top 15 favourites. Kinda reminds me of a very (and I mean VERY) obscure arena shooter called Wickland. You had "mutations" which gave you armor and a weapon, once the armor for a gun was gone, you lost the gun as well. Also, what does "not yet upgradable" mean? That the upgrade will be added in a future update or that I have to perform a specific action to be allowed to upgrade? The outfit that has this message on the PDA are not yet upgradable. They will have upgraded versions in the future versions of the mod. if I had this hud done on Zscript Id add those 3 in, but I am still using old sbarinfo, I am planning to make the barrel thing into something else at some point tho. Means its not yet upgradeable, gotta wait to another future update. The shopping bag spawn rate is upped a little as there's now new items and toys! These items range from small buttons to wine bottles to more interesting threads. And a more godly outfit is also unlock-able if you gather certain items enough..
Yees and this weekend is the time to try to thoroughly try this. also, you're a mod now? 4thcharacter wrote: Yees and this weekend is the time to try to thoroughly try this. This mod was good enough that I created an account to thank you for making it. -Gasp- A new update on my fave mod!? Omg i gotta download this and give it a run. I make an edit to this post with a spoiler tag to document my experience and how i think about them. Also, waht made me smile was the added *huh? * sound Diana makes when pressing the use key on a wall, its so cute. To note, i used the mappack Reverie when playing this, so some of the things i experience might be from that map pack. The labcoat: A really nice outfit both by design and its effects on weapons, and the inclution of potions with buffs. as her test subjects for testing stuff. I do love the chemical vials that gives different effects, may it be firerate or invisibility etc etc. The Strings of Life: Its a really neat type of item that feels rewarding to get, since some of the weapons and depending on the outfit, uses this as ammo and i find it really cool. Misc items: Items such as the buttons are such a adorable little idea for portable armor repair kits. Taking 'cute as a button' to litehrly, but i love it hehe. There is this portable beverage that increeses firerate is pretty neat, sorta like a lower end version of the upgraded BunnySuit's wine, and its really useful incase you lose your outfit and desperatly need some more firepower when you are in a tight spot. Overall, im really happy i found this mod and the frequent updates makes me a happy little lynx. Last edited by Sasha_The_Lynx on Sat Mar 17, 2018 8:31 am, edited 2 times in total. 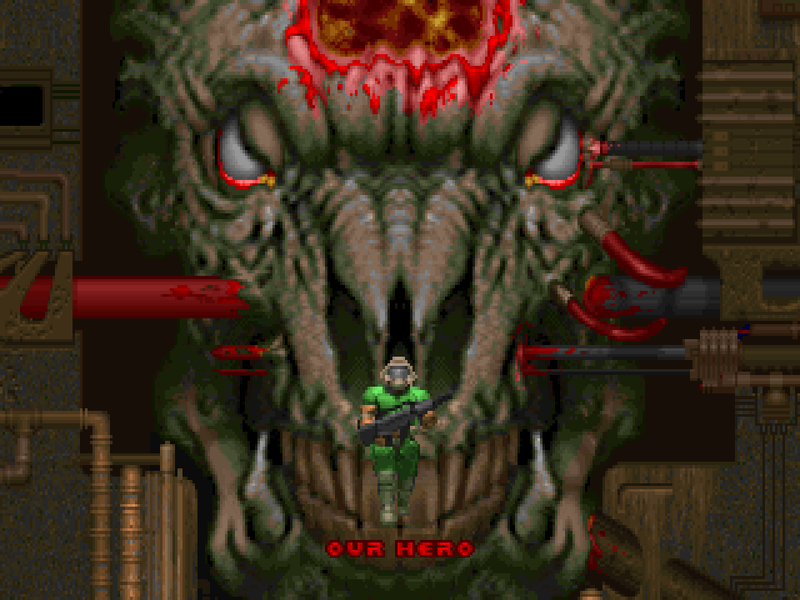 Took the update for a spin most of the way through Plutonia, and part of Doom 2. I don't think anything will ever trump the cat maid update but this sure tried. Firstly, I love the new quit messages, that was definitely a needed touch. I also like some of the new voice stuff, but some clips need to be re-done because they are noticeably inconsistent with the rest and it really hurts. Still this bug. It's just a matter of replacing a couple of sprites isn't it? Lab coat is definitely a new favourite for its weapon mods and I'm just naturally attracted to things like the BTL's alt fire (make it more ammo-hungry though it's too efficient for a piercing weapon that you don't need anything else). The vials are neat but could be more visually distinct from each other given the tiny icons. I'm a bit iffy on the added inventory clutter but there's not much that can be done about that. Now, the nurse upgrade. Nerf the melee. The secondary can take out a spider mastermind safe and quick, and the primary insta-kills most trash mobs allowing you to rack up insane amounts of armor. You could make the primary based on something like the monster's base HP as a risk-reward thing (EDIT: So much for the "risk" part, frozen enemies are leechable too) but I'd just make it give drastically less for both. Other than that I don't actually know what it refers to but I like it and most of the weapon changes I tried. Like succ it has the issue with +1 health pickups and overheals past 999. I had a bit of a play with upgraded ninja but I'm not a fan of the theme of it so I didn't try it for too long. Noticed bunny girl time stop uses strings of life now but maid still uses rockets. Both should be SoL, and a fair few at that since even with some of the weapons approaching Russian Overkill levels it's an outstanding power, and should not be usable as flagrantly as it can right now. Scissor blade is OP but satisfying as hell, I notice it's much easier to charge now. If it can still trigger invulnerability it didn't this playthrough. EDIT: Never mind it still happens but it's apparently much rarer now. I figured out what the belt did eventually but was confused at first since the first time I saw it it was consumed on picking up a Kamui. That's a bug of course. Buttons are a silly item. I like having some way to overheal on demand but I can't get over the mental impression of an outfit covered in the things. Also love that you prevented them from being used as nakedness recovery (makes sense, more amusing mental impressions of her trying). Some of the inventory items would really benefit from a dedicated trigger button especially with all the new inventory clutter. I realize you may not want to put some of them in the control list for spoiler reasons, but is there some way to bind them through the console? EDIT: Yes. For the scissor blade it's "use TGBlade" for alcohol it's "use TGWineBottle". Finally yay alcoholism it's satisfying with most of the melee weapons, and yay office girl's BTL primary fire, that was a particularly amazing surprise. EDIT2+3: Additional bits and pieces. HEAVY SPOILER WARNING! Bunny girl carrots must be a delicate balance, in any case I prefer OP to UP. Meanwhile lab coat's scrapper gun is pathetic for a rare outfit. ...I did actually manage to find the extra outfit and it is basically a "win game" button, but if you really do luck out like that it's deserved. Also alcohol besides making you an unstoppable melee beast is great for making demon/succ fly faster. More mental impressions that amuse me. I noticed wedding dress had a "not yet upgradeable" can't wait to see your plans for that one. EDIT: A Girl And Her Barrel! You can do this with Romero's head too if it's exposed. Last edited by fakemai on Thu Mar 22, 2018 11:25 am, edited 2 times in total. The cast call would have to be rewritten in MAPINFO to use TailorPlayer, I believe, using something like this. So far haven't had any problems. The upgraded nurse outfit is nice and maid outfit upgrade good stuff too. So Nudist Beach is basically a "hard mode", it looks like. Had a serious look into a couple of bugs that I've been whining about, extremely heavy spoilers. First, +1 scrap uniformly caps at 300 which is inappropriate for the nurses, that's just a simple conditional to add. For the bigger ones, they have the LowEffect conditional for certain outfits (succ, anything with hard-to-repair token) which doesn't check your armor count so with those outfits it'll just continue up to hard cap and continue to consume them for no benefit when maxed. Nurses need their own conditional to ensure she doesn't go over 999. It'd be nice too if maids rejected pickups when maxed out on armor and ammo. Now, hard caps, this is beyond fucked. It differs by outfit for a start, but the mechanics from here don't seem to apply to the figures specified (most outfits go up to 400 from testing). To actually reach a cap you can use buttons (again, consumable for no benefit when reached), by pre-buffing with scrap for certain upgradeables (cat maid, succ), or through the scissor blade (holy hell this thing). Oh, and upgrading sometimes has a different cap. Like upgrading to the cat maid stops at 300 instead of 400, and the MMO armor and barrel go beyond 999 instead of stopping at 800 and 400 respectively. And yeah, you can fix unfixable outfits with the scissor blade. Fairly simple. The NoFixToken and Nudisttoken just need to be kept when it wears off (and on level exit) if that game mode is in use. Some other script is removing the NoFixToken (the one that handles stripping I expect). Buttons won't need special handling or could give an alternate message. No idea how you want it to work for the goddess outfit, presently it makes the fancy light show and gives you nothing. Pretty insulting if you get that lucky. Pretty minor but you'll notice her failing to take damage for the first few seconds of a playthrough. Not sure how to fix though since ACS can't modify armor that I can see. Probably fixed in 1.50 since that outfit was changed to carry the Nudisttoken. AvzinElkein wrote: So Nudist Beach is basically a "hard mode", it looks like. Makes me wonder what Hege has in store for us. Although it seems that this is quite busy.